Blueberry Cheesecake Tart Recipe – Super Easy and Perfect for Dessert TONIGHT! Raspberry Lemon Curd Tart Recipe- Sweet, Tart and Cool on a Warm Day! Super Easy Caprese Tart Recipe- A Delicious Light Summer Meal! Easy Pumpkin Whoopie Pie Recipe with Caramel Frosting. YUM!! Spicy Pumpkin Seed Brittle Recipe- Sweet, Salty, Spicy Pepita Brittle! How to Make Chocolate Dipped Oreos at Home- Easy and CHEAP! Best Cookbooks for Teens- How to Get Teens into the Kitchen! Summer Berry Pudding is a perfect recipe for those hot summer days… and nights. You can prepare it on the stove top in the morning, and let it chill all day. Or prepare it in the cool of the evening, and eat it the next day for an afternoon refreshment. I have altered the original recipe a bit, so now it’s a Summer Pudding Frozen Fruit. I got the recipe from my friend, Michelle, who brought it from her home in England. Who says British food is bland? This refreshing blend of berries is sweet and tart and cool. There is no actual baking involved in this recipe… you just have to cook the berries a bit. Make this recipe with fresh berries or Frozen ones. It just depends on what you have on hand. (I found Frozen to be much more convenient) I used a Buttermilk Bread.. it’s got a bit of heft, but it isn’t too dense. Plus.. it comes in a square, so it’s easy to cut. In England it’s served with Clotted Cream or Hot Custard. In my kitchen… Vanilla Ice Cream or whipped cream. Either way, it’s a treat! 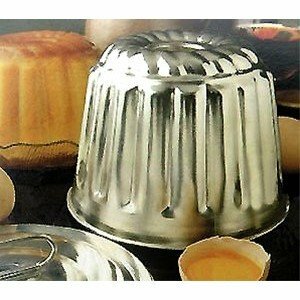 Looking for a Pudding Mold? This recipe needs to sit overnight... or at least 8 hours... so plan ahead! Now... in the USA we don't have fresh currants all that often,and when we do, at least in California, they cost the earth. Put the prepared Berries in a large saucepan with the Sugar and Water, bring to a boil and simmer gently for 5 minutes. Trim the crust off of the Bread Slices. ** now... if you are like me, and don't have an actual Pudding Basin, I found that a 4 cup square storage container does the trick. You don't get points for beauty, but... it does the job. Spoon the Berry Mixture into the lined Basin, and top with more bread cut to fit. Cover the pudding with a plate, and put a weight on it. Stick the whole thing in the fridge where no one will knock it over... let it sit overnight so that the bread is completely soaked through with the berry juices. Turn the pudding out onto a plate with a lip. Serve with clotted cream, hot custard or vanilla ice cream. Cut the Bread to fit… no crusts. For this I used a Buttermilk Bread… it has a bit more heft, but isn’t too dense. Turn out onto a place…. 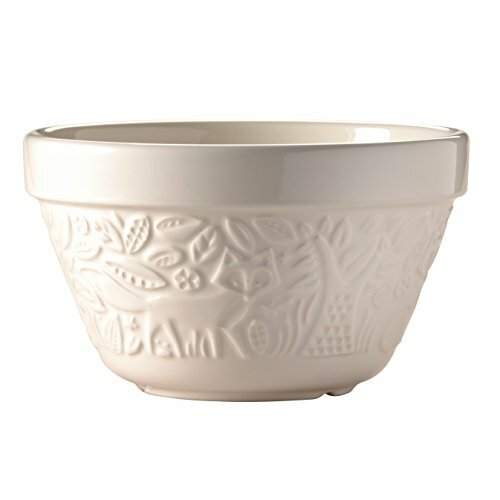 Let the kids line the pudding basin or container with the bread. They can use their safety scissors to cut the pieces to fit – like making a 3 dimensional puzzle. This recipe looks great! Berries are so good for you and even though I’m not much good in the kitchen, I think I could handle this recipe!